In December we hosted the first in a series of Listening Sessions with members of Orange County’s African-American community in response to the story of a family who left Orange County, feeling forced out by hate. 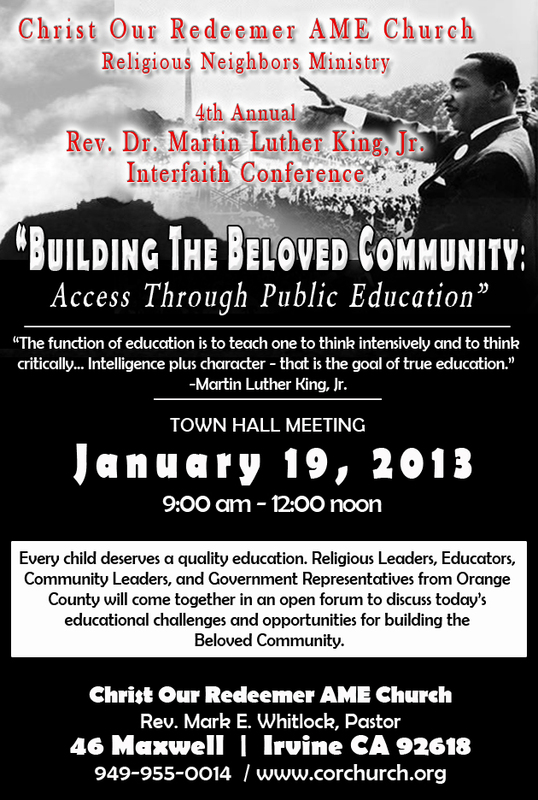 As a follow-up to that session we are once again collaborating with the Christ Our Redeemer AME Church in Irvine to honor the Martin Luther King Jr. Holiday and hold Interfaith Dialogues Saturday, January 19th. Below is the flyer for the forum which will include a panel followed by small group, interfaith discussions. 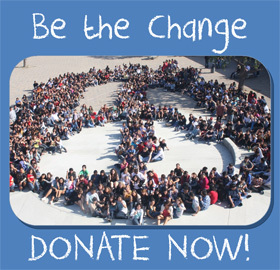 Please do join us and others as we seek to Build the Beloved Community here in Orange County!